In this cyber world, security is always the priority in any region. Similarly, secure browsing is a way to browse safely or say anonymously over the internet. Mostly user thinks that they very safe over the web for browsing lots of sites on their device. But that’s a misunderstanding as today there are lots of spy agencies that keep track of users, so it is necessary to ensure your privacy by securely browsing the web. And in this article, I am going to discuss the same for Android users as in my previous I had stated the method to browse on PC securely. So have a look at complete guide explained below to proceed. CM is well known to an Android user. A group that had to develop lots of cool apps, similarly, their browser is also good and provides you the secure access to the internet and stops scripts that can track you over the web. Armorfly is a secure browser that offers maximum privacy and security. You can lock your secrets away and enjoy a comfortable browsing experience with all-around protection. With the help of its video detection function, Armorfly browser makes various online videos downloadable. Webroot secure web browser is one of the feature rich browsers which you can have on your Android. It provides real-time protection and alerts of viruses and potentially malicious websites from Webroot’s advanced URL reputation database. 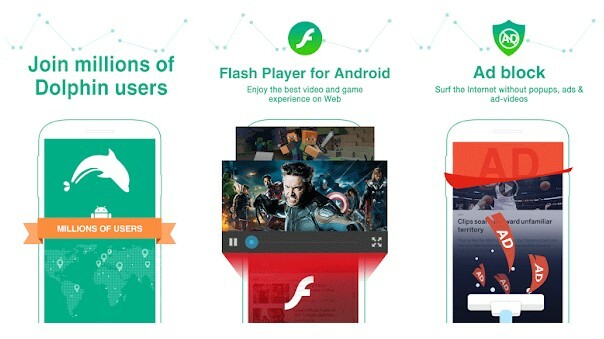 Dolphin Browser is the best internet explorer browser for Android with fast loading speed, HTML5 video player, AdBlocker, tab bar, sidebars, incognito browsing and flash player. 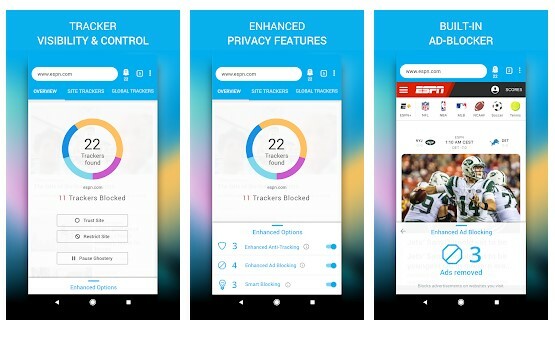 Brave Web Browser is a fast, free, secure web browser for Android with a built-in AdBlock, tracking and security protection, and optimized data and battery experience. Brave is designed with a built-in adblocker to provide an ad-free and seamless browsing experience. The new Firefox Focus automatically blocks a wide range of online trackers — from the moment you launch it to the second you leave it. Easily erase your history, passwords, and cookies, so you won’t get followed by things like unwanted ads. AZ Browser is another unique browser on the list which brings in lots of interesting features. This is one of the best private browsers which you can use on your Android devices. The great thing about AZ Browser is that it brings a floating video player which allows users to watch videos while doing other stuff over the internet. Frost Incognito Browser is another best private browsing app which you can have on your Android. The great thing about Frost Incognito Browser is that it comes with a hidden, password protected image and bookmark vault which you can use to store sensitive details. Apart from these, the browser also brings several other privacy features. Well, Omigo is another best Android browser which comes with a private browsing feature. Not only these, but Omigo browser also comes with a built-in Adblocker and it comes with lots of other advanced feature which could enhance your browsing experience. The app comes with tabbed bar, incognito browsing, news and flash player features. 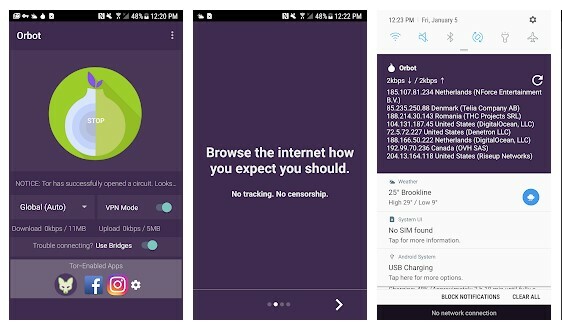 If you are looking for an Android web browser that offers lots of powerful web security tools, then Epic Browser might be the best pick for you. Security and privacy tools include private browsing mode, Web tracker blocker, ad blocker, etc. 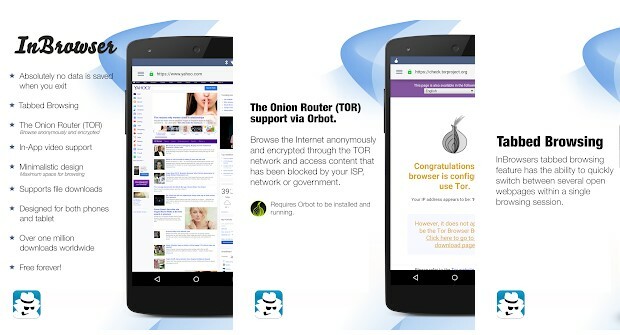 Not just that, but Epic Browser for Android also offers users with Encrypted Proxy servers. Firefox Lite is another best secure web browser which you can use on your Android smartphone. The great thing about Firefox Lite is that it brings lots of privacy and security features like an ad blocker, web tracker blockers, private browsing mode, etc. Not just that, but with Firefox Lite, you can also enjoy Parallel downloads, Multiple tab browsing etc. Phoenix Browser is another top-rated Android web browser available on the Google Play Store. The great thing about Phoenix Browser is its downloading features. The web browser got the ability to detect and download videos from various portals. Not just that, but the web browser also offers an Ad Blocker and incognito mode to protect your privacy. 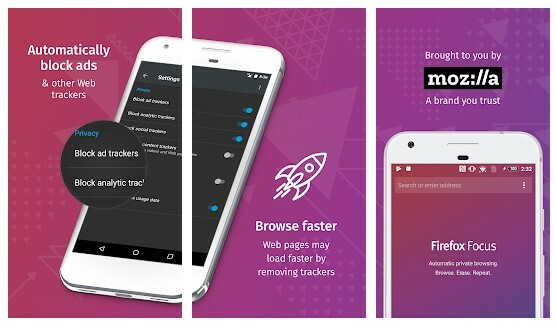 Nox Browser is one of the new web browser available on the Google Play Store. The great thing about Nox Browser is that it offers users lots of features like multiple tabs, offline browsing, incognito mode, etc. Nox Browser is known for its high-level data protection features which can protect you from web trackers and ads. 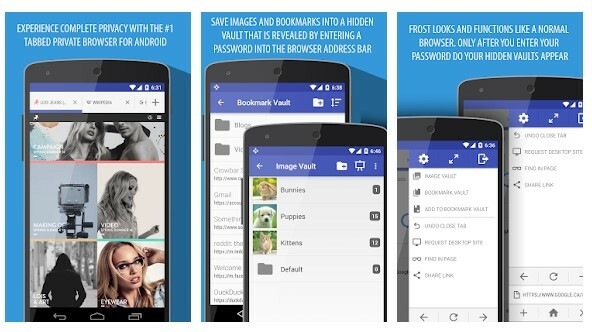 So, Nox Browser is another secure web browser for Android that you can use today. 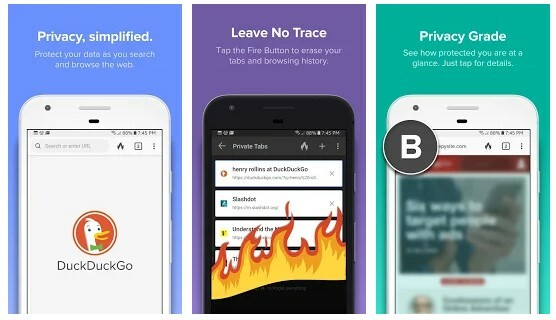 DuckDuckGo Privacy Browser is one of the best secure web browsers for Android available on the Google Play Store. The great thing about DuckDuckGo Privacy Browser is that it offers everything that you need to protect your privacy. 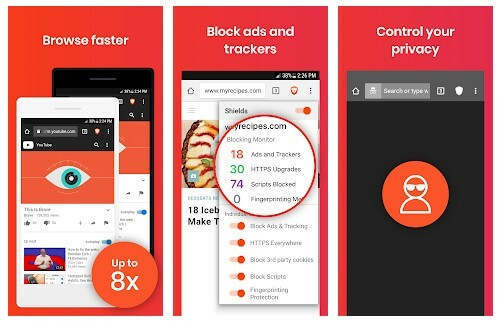 The DuckDuckGo Privacy Browser web browser for Android can block ads and web trackers and it forces web pages to use an encrypted connection. Apart from that, DuckDuckGo Privacy Browser allows users to search privately. So above is all about How To Browse Securely On Android. Use the above complete guide, and you will easily get secure while browsing the web on your Android device. Hope you like our work, keep on sharing. Leave a comment below if you have any related queries with this.